What are the Theological Justifications for Polygamy? The easiest one is part of the restitution of all things, and if somebody asks you, “Why did Joseph do it?” The easy answer is, he was a prophet-restorer, and the old prophets did it, and he restored it. That’s not entirely nuanced, and some would say it’s even correct. I think it is generally. The second one is it was a trial. This is the one I couldn’t remember. It presented a special trial. The Lord does do that. It gives different people at different times different kinds of trials. A third one was to—it was the one I had talked a great deal about. It allowed all men and women to enter into a marriage, even if this is a plural wife, and then the [fourth] one is the one we started with, multiply and replenish the earth. We’ll also talk about what Brian thinks of Carol Lynn Pearson’s book, The Ghost of Eternal Polygamy. Of course on earth, polygamy is not fair. It’s unequal. You could say it’s sexist if you want, on earth. But I don’t think that we know anything about eternal marriage, and we certainly don’t know anything about eternal plural marriage. So to assume that that’s a bad thing, that it victimizes women, and to assume that women should fear that is to fear unknown things. God has promised us everlasting joy, a fullness of joy. His plan is a plan of happiness. Check out our previous episode on Fanny Alger, as well as parts 1, 2, 3. 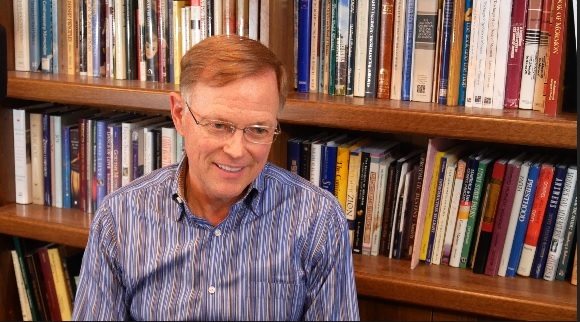 Many of you will find Mark Staker’s interview on Kirtland polygamy enlightening too. Don’t forget to check out a transcript (link below), or the video! Fanny Alger Part 2: Plural Marriage or Adultery? Here’s part two of our discussion about Joseph’s plural marriage to Fanny Alger. In this discussion we’ll talk about Emma Smith as well as Oliver Cowdery’s reaction. They both thought it was adulterous. What we understand is that more or less, the people that Joseph Smith told about Fanny Alger as a plural wife, they didn’t believe him…. Joseph, according to one of the accounts gets Oliver and says in the middle of the night. ‘Oliver, come help me with this.’ Oliver hears the story and sides with Emma and thinks Joseph is having an adulterous affair. That was his opinion, probably right up until his death, that Joseph was not authorized to marry her. It wasn’t a marriage. He made hints to members of the high council that Joseph had been guilty of adultery. He did not accept any story of a marriage ceremony as being valid, and neither did Emma. On the other hand, Fanny’s family seemed to believe that it was a legitimate marriage. Fanny eventually married a non-Mormon man in Indiana, but her family came to Utah, and her brother was a polygamist! Brian: Whatever actually happened between Joseph and Fanny did not bother their faith of these people who knew the details, same with Eliza Snow. GT: Was it true that her parents came all the way to Utah? Brian: Her brother did and I don’t know if they died or all, but they didn’t leave the church. It’s interesting that John Alger in 1891, this is right after the 1890 Manifesto, he left the church over the Manifesto. He had a polygamist wife and he could not accept that. So again some irony. GT: Fanny’s brother was a polygamist? Brian: Uh huh, and he left the church over the Manifesto of 1890. 1st Plural Wife Fanny Alger: Time or Eternity Polygamy? We’re here to talk about Joseph’s first plural wife. Dr. Brian Hales noted that this marriage likely occurred prior to the sealing power being restored. Was this a time, or eternity sealing? Brian: If it wasn’t a sealing, then what authority was used? The state wasn’t going to allow Joseph to marry a second wife, so the only authority that it could have been would be priesthood authority and Joseph was already using that authority to marry people just for time there in Kirtland. So one interpretation is Joseph gave that authority to Levi and this would have been strictly a priesthood marriage that Joseph would have argued God recognized and so if he recognized it and Fanny and her family apparently recognized it as did others who were involved, but not Oliver [Cowdery] and not Emma. What do you think? Was this an adulterous relationship, or was it a true marriage? Was it a sealing, or just a polyamist marriage for time? What do you think of polygamy?